The Inland Waterways Authority of India (IWAI) has signed a project agreement with the World Bank, even as the latter entered into a 375 million dollar loan agreement with the Department of Economic Affairs, for Jal Marg Vikas Project (JMVP). The JMVP, which is expected to be completed by March, 2023, was being implemented with the financial and technical support of the World Bank. 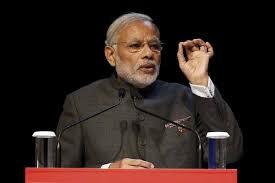 Prime Minister Narendra Modi has inaugurated the Global Investors' Summit 'Advantage Assam'. Assam will be looking for creating a 'pollution-free industrialisation' and 'ease of doing business'. The Summit has been organised by the Assam Government, in association with the industry body the Federation of Indian Chambers of Commerce and Industry (FICCI). The aim summit is to position the state as India's Expressway to Association of Southeast Asian Nations (ASEAN) countries. Cochin Shipyard Limited (CSL) and Joint Stock Company United Shipbuilding Corporation (USC), Russia have signed a Memorandum of Understanding to collaborate and engage in design, development and execution of contemporary, State-of-Art vessels for Inland and Coastal Waterways. CSL & USC will associate in development of high speed vessels, river/sea cargo vessels, passenger vessels, hovercrafts and other watercrafts predominantly for the Indian waterways. The MOU was signed between Madhu S Nair, chairman & managing director, Cochin Shipyard Limited and Alexey Rakhmanov, president, United Shipbuilding Corporation, in the presence of Nitin Gadkari, union shipping minister. One of the smallest states in the United Arab Emirates (UAE) has opened the world's longest zip line, beating the previous record by 600m. The zip line measured 2.83 kilometers (1.76 miles) in length. 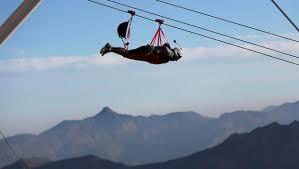 The Jebel Jais Flight zip line launches from 1,680m above sea level, at the peak of the Jebel Jais Mountain. Ras al-Khaimah currently gets 1 million tourist visitors a year and aims to drive 100,000 of them to use the zip line. The annual welfare exhibition 'Sandiksha Mela' of Sashastra Seema Bal (SSB) exhibition has inaugurated by Ms Madhulika Rawat,wife of General Bipin Rawat, the Chief of Army Staff. SSB presented their brass band and jazz band shows. A souvenir was also released to commemorate the occasion. Proceeds from the sale of the exhibits would be contributed towards the welfare of the families of the jawans and their children's education. In a major development ahead of the Global Investors’ Summit, Government of Assam signed an MoU with National Building Construction Corporation (India) Limited for setting up a 65 storey Twin Tower Trade Centre in Guwahati with a project cost of Rs. 1950 crore in self-financing mode. This iconic project will be implemented at Basistha Crossing near NH-37 with a completion period of sixty months. Guwahati is one of the 100 Smart cities chosen to recast the urban landscape of the country under the Smart Cities Mission of the Union Government. 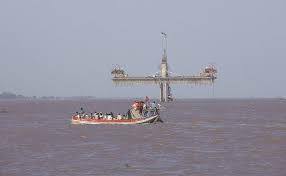 The project is scheduled to be completed in 60 months. 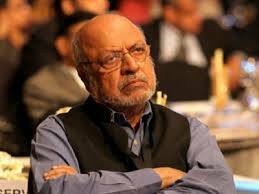 Filmmaker Shyam Benegal has been selected for the prestigious 'V. Shantaram Lifetime Achievement Award' of the Mumbai International Film Festival (MIFF-2018). The award, carrying a trophy, a citation, shawl and cash prize of Rs 10 lakh, will be conferred on Benegal by Maharashtra Governor C.V. Rao at the MIFF 2018 valedictory function. The MIFF's V. Shantaram Lifetime Achievement Award is awarded on a veteran filmmaker with outstanding contribution to the world of films, instituted in memory of the legendary filmmaker, Shantaram Rajaram Vankudre, known popularly as V. Shantaram. The Times Group recently celebrated the invaluable contribution of women by introducing the Times Power Woman 2017 (Pune) awards. These awards were initiated to celebrate the victories of women who have been a great source of inspiration. 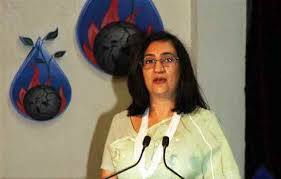 These awards focused on the women of Pune and the prestigious list included 34 select women with power, supremacy, command and control. 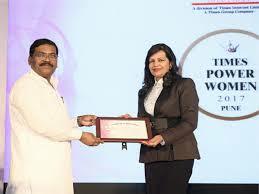 Shabnam Asthana was awarded the 'Times Power Women of the Year 2017'- Pune for Global PR. 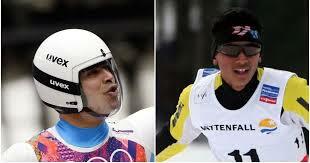 Luger Shiva Keshavan and cross country skier Jagdish Singh will represent India at the Pyeong Chang Winter Olympics. Thirty-six-year-old Keshavan, Olympian, will be taking part in his sixth games since his debut at Nagano in Japan in 1998. Meanwhile, this will be Jagdish Singh's maiden Winter Games appearance. Winter Olympics will begin on February 9.